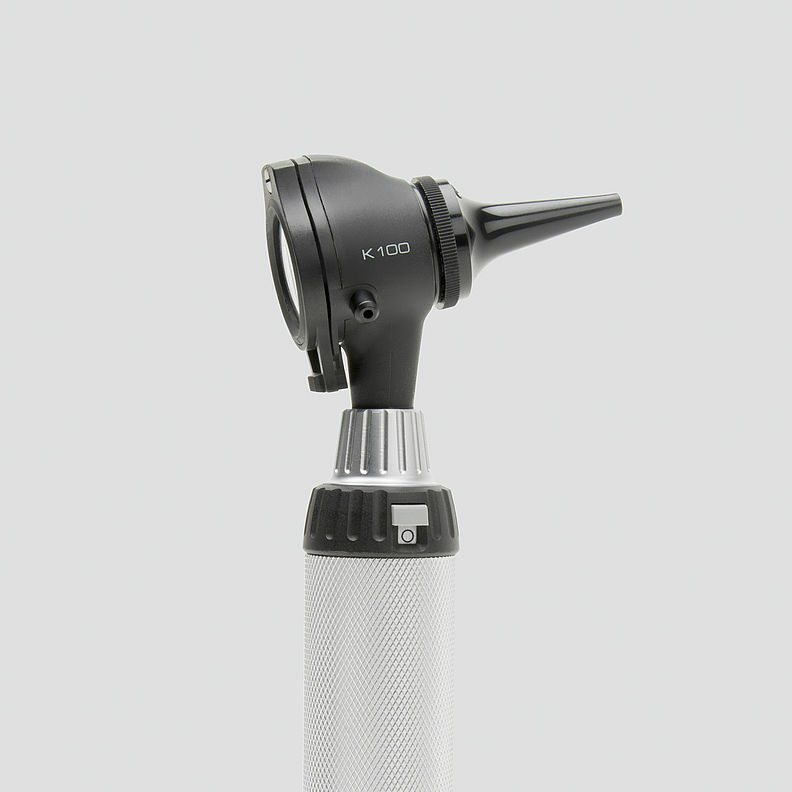 A very cost-effective diagnostic otoscope with direct Xenon Halogen illumination. The head is moulded in high-impact polycarbonate. For use with reusable specula or UniSpec disposable specula. With tip-adaptor (B-000.11.306) it is also possible to use AllSpec disposable tips. Polycarbonate construction. Shock-resistant. Instrument head matt-black inside. Eliminates reflexes. XHL Xenon Halogen Technology. Extremely bright, white light. Large acrylic viewing window with 3 x magnification. Sharply-focused distortion-free image. Swivelling viewing window built into instrument. Useful for instrumentation, cannot be mislaid. Insufflation port. Reliable test of tympanic mobility.